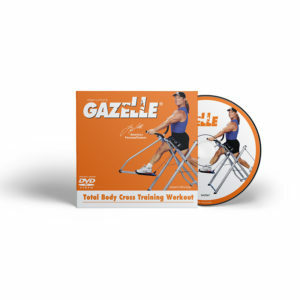 Burn calories, tone your muscles, and improve your cardiovascular endurance with the Gazelle Fitness Trainer, which simultaneously works out both your upper and lower body. 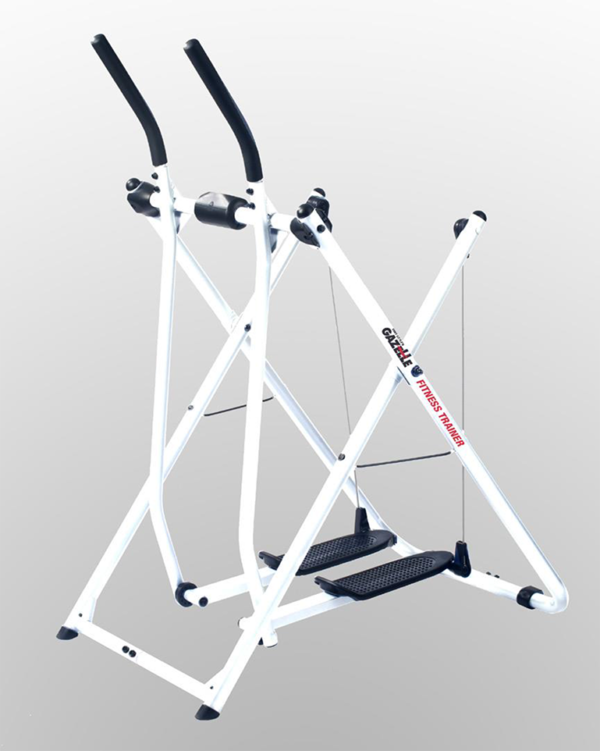 Ideal for all fitness levels, the Fitness Trainer’s unsurpassed range of motion lets you go from a slow walk to a full run with no sudden stops, so you won’t put undue pressure on your joints. The resulting aerobic workout will challenge you without sacrificing your knees. 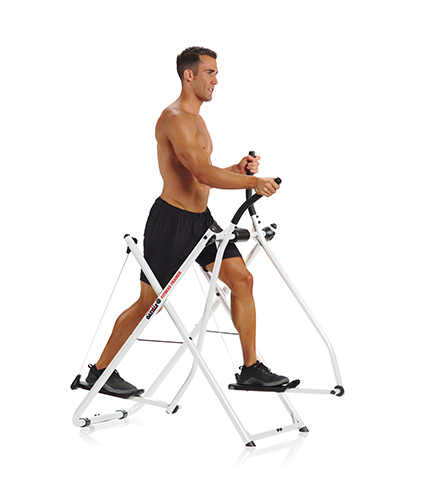 Includes an easy-to-use, five-function workout computer that delivers immediate feedback on speed, distance, time, and calories burned; a foldable footprint for easy storage; extra-wide, non-skid foot platforms; a durable 1.5-inch rolled steel frame; high-density foam handlebars; and a maximum weight capacity of 250 pounds; and 3 Workout DVDs.